The Teall Centre project is located on the property of 1605-1641 Erie Blvd. East. The site is home to the new PriceRite Grocery Store and part of a 6.4 acre redevelopment of the previously vacant lot at the corner of Teall Avenue and Erie Boulevard. The expansive project included stormwater planter and dry well systems to manage the runoff from the roof the building. Additionally, the project included approximately 27,600 square feet of porous pavement installed in the parking area that was designed to capture and store a majority of the runoff for the lot. 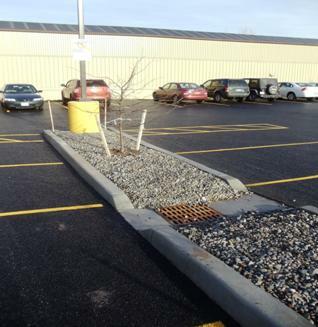 Three bioretention areas were also installed to capture the remaining parking lot runoff. 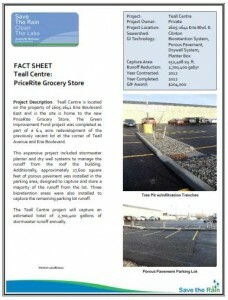 In total, the Teall Centre project captures an estimated 2,700,400 gallons of stormwater annually.